Since september 2016, I am an assistant professor at the Center for Applied Mathematics (CMAP) in Ecole Polytechnique near Paris. My research interests focus on theoretical statistics and Machine Learning with a particular emphasis on nonparametric estimates. I did my PhD thesis on a particular algorithm of Machine Learning called random forests, under the supervision of Gérard Biau (LSTA - Paris 6) and Jean-Philipe Vert (Institut Curie). Graduate Degree "Artificial Intelligence and Advanced Visual Computing"
If you are interested, applications are open until May 6, 2018. 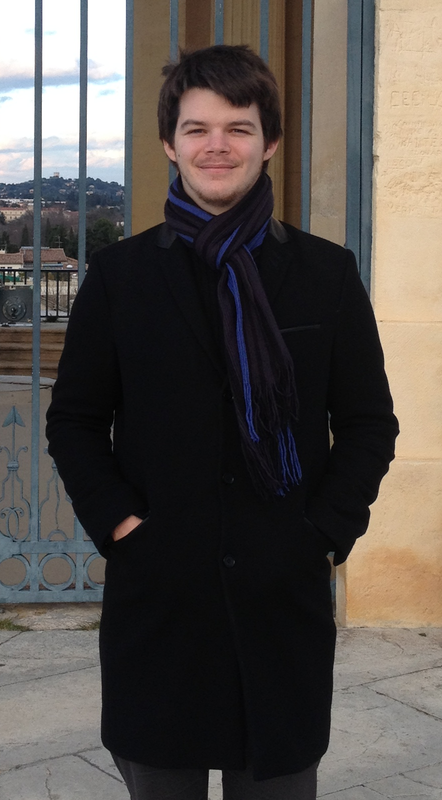 Winner of the Jacques Neveu 2016 Prize for a thesis in the field of probability or statistic. Scornet, E., Biau, G. and Vert, J.-P. (2015). Consistency of random forests, The Annals of Statistics, Vol. 43, pp. 1716-1741 (Supplementary materials ). Scornet, E. (2016). On the asymptotics of random forests, Journal of Multivariate Analysis, Vol. 146, pp. 72-83. Scornet, E. (2016). Random forests and kernel methods, IEEE Transactions on Information Theory, Vol. 62, pp. 1485-1500. Scornet, E. (2016). Promenade en forêts aléatoires, MATAPLI, Vol. 111. E. Bernard, Y. Jiao, E. Scornet, V. Stoven, T. Walter and J.-P. Vert (2017) Kernel multitask regression for toxicogenetics, Molecular Informatics, in press. J. Mourtada, S. Gaïffas, E. Scornet, (2017) Universal consistency and minimax rates for online Mondrian Forest, NIPS 2017 (Supplementary materials ). Scornet, E. (2017). Tuning parameters in random forests, ESAIM Procs, Vol. 60 pp. 144-162. PhD thesis Learning with random forests, defended on Monday, 30th November, 2015. Office: 136, Turing Building, Route de Saclay, Palaiseau. BY-SA Benjamin Guedj, 2016--2017. Design: HTML5 UP.